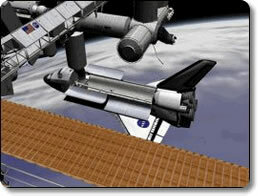 Orbiter Space Flight Simulator Game - Download and Play Free Version! Learn to fly through space in this simulator game! It's an early Sunday morning and you've had a rough week. You want to just leave Earth for a while and take your hand at something a bit challenging. How about flying a spacecraft through the outer region of the world? 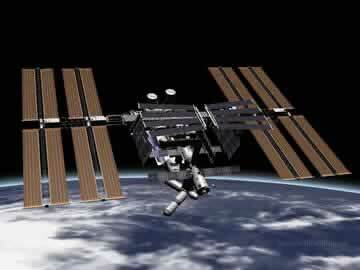 This is not a shooter game, it is a spacecraft simulator. What this means is that there is a pretty steep learning curve (hey, flying spaceships isn't for chimps you know) You will have differing objectives... launch a satelitte, rendezvous with the International Space Station or take the futuristic Delta-glider for a tour through the solar system - the choice is yours. Are you ready for Orbiter's realism? In order to really excel in this game, you may need to do some additional reading to really understand how to fly spacecraft! (the ability to read separates man from chimp) One good place to start is JPL's Space Guide. The realistic views and angles of the flight will be extraordinarily interesting and challenging. The most rewarding part of this game is what you learn and how much fun it is to learn how to fly spacecraft! Orbiter is a project by Martin Schweiger and is hosted by UCL Medical Physics. You can find the Orbiter home page here where you can get any of the latest updates, download manuals and tutorials, and find other information about the game. 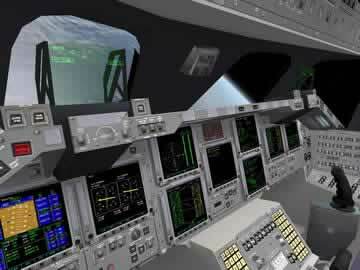 Watch a few minutes of this realistic space simulator!